There are still many armed police on the streets. I saw one heading for the Gents toilet in the Arndale shopping centre. “Do you want me to mind that while you go in?” I asked him, indicating his gun. He laughed. I’ve seen other officers reassuring children, placing their helmets onto young heads for photographs. Meanwhile, outside, still the flowers grow. Real bees-Manchester bees, were flying among the thousands of flowers, unthwarted by the barrage of moving tethered balloons. There was a subdued air compared to the earlier staunch triumphalism, the knee jerk refusal to be cowed. My two youngest children and I. Then, somewhere beyond this transformed square, a lone piper began to play. “I don’t want to grow up,” she replied. I can understand why. Everywhere: an alternative message to hate. 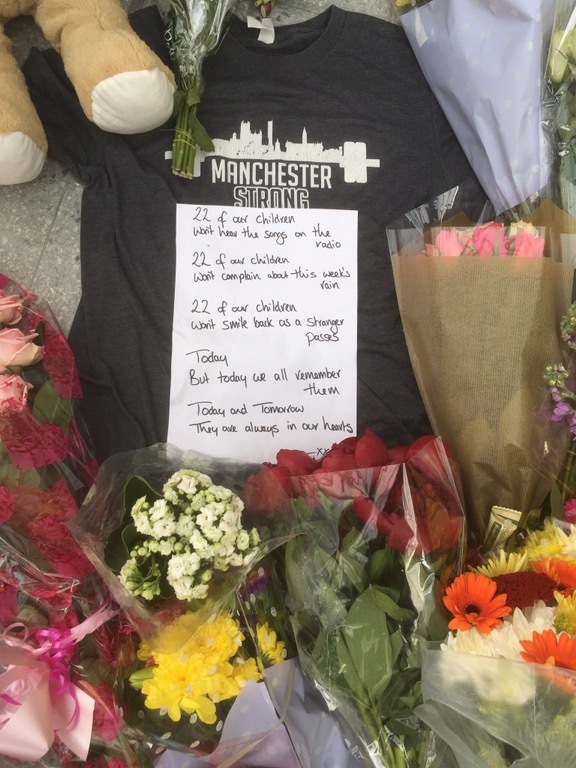 Remembrance of the twenty two. My kids stayed a little longer, quiet and thoughtful among the reflecting figures. This place of memorial draws the creatives: the musicians; the poets; the painters. I’ve seen them everywhere, and of course I’m one too. Bleeding our art through open wounds. 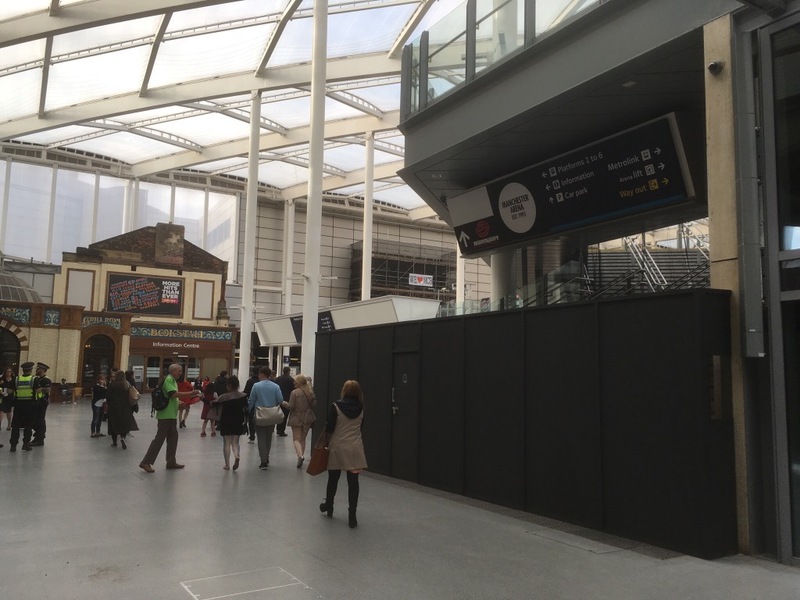 Victoria train station, through which the Arena (site of the bombing) can be accessed, has now reopened. Samaritan volunteers were present everywhere, handing out cards for anyone who may need help. 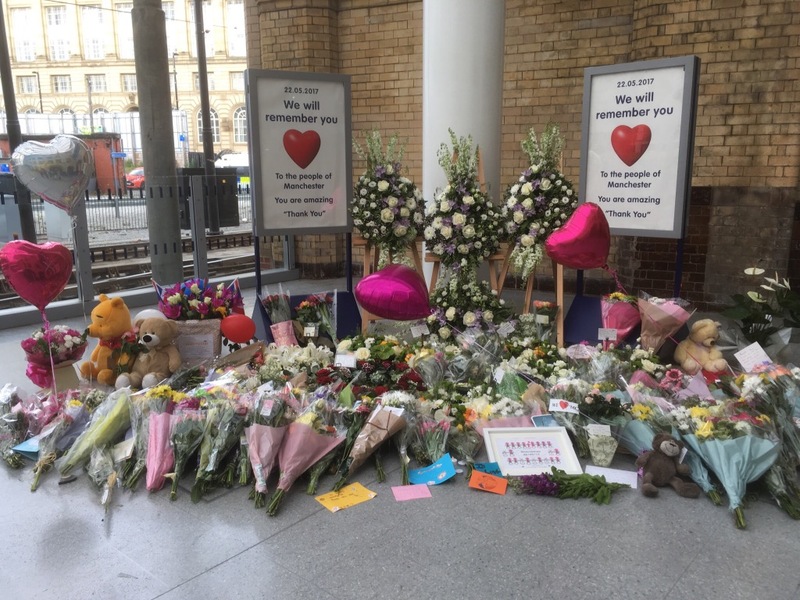 Above the platform scaffolding shows where the damage is still being repaired, draped by one of the We Love Manchester signs that adorns the city. This has been laid, naming and depicting the dead as angels. 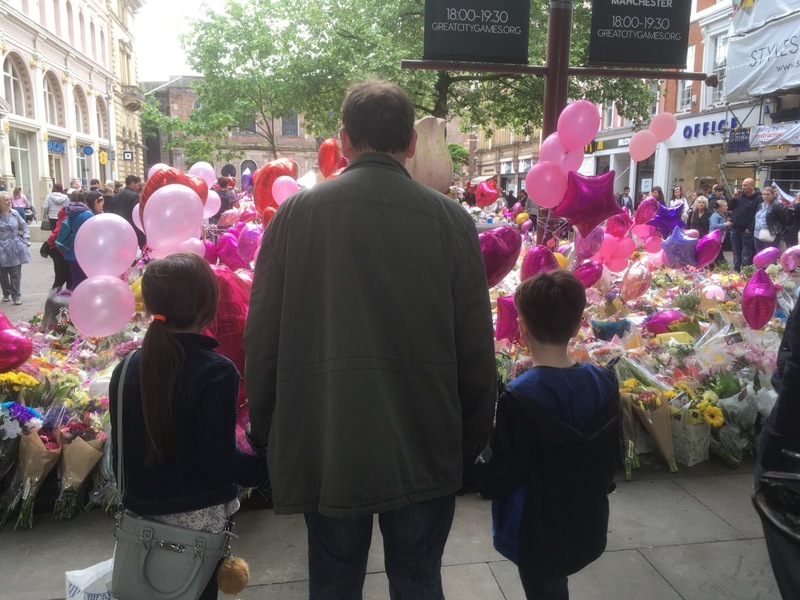 The five males in white, the females in pink, the girl with the balloon the youngest victim, eight-year-old Saffie. 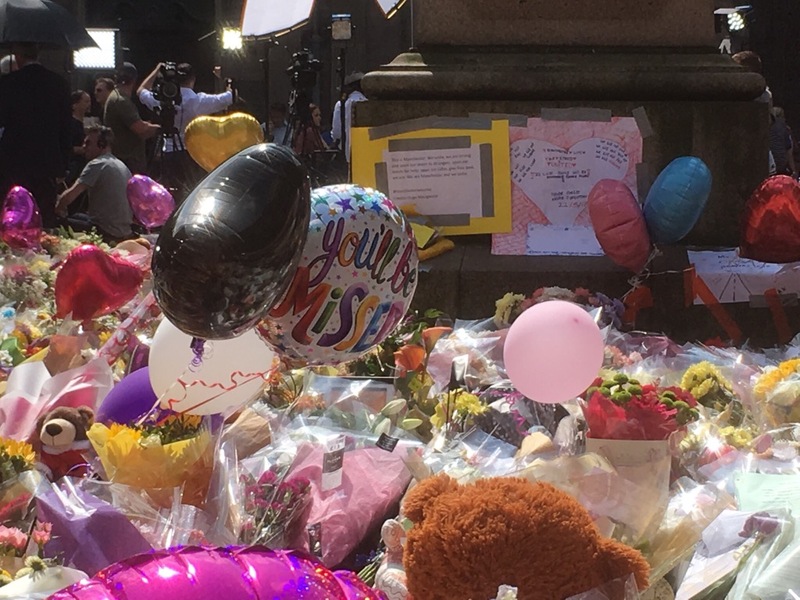 I left the centre still, even more so, a proud Mancunian, moved by the resolve of the Manchester people. and echo within the heart. It is good to see things getting back to normal. 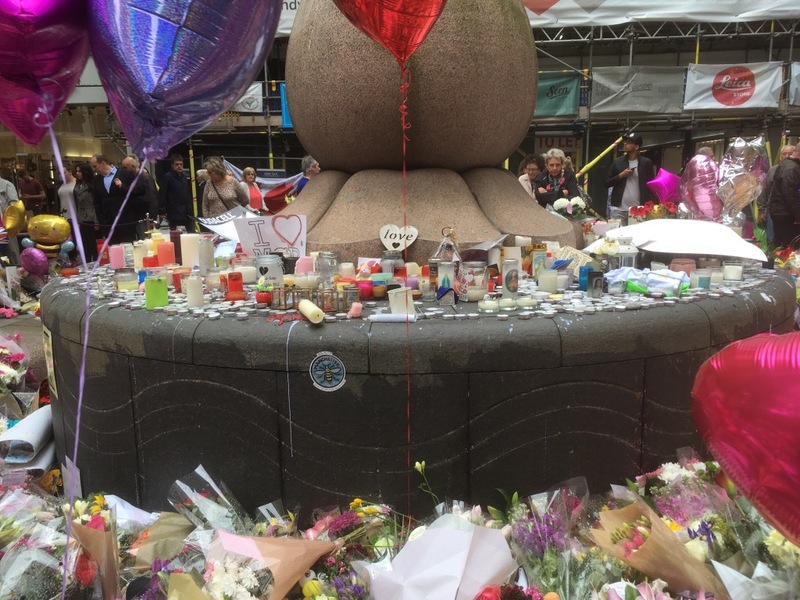 It was announced that today the country would observe a minute’s silence to honour those killed on Monday. 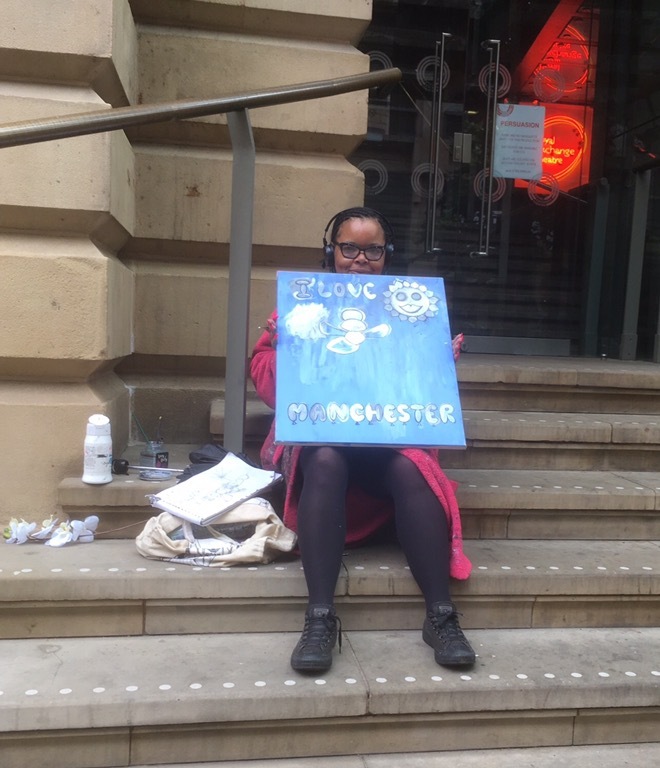 Where else could I go to honour this but Manchester? 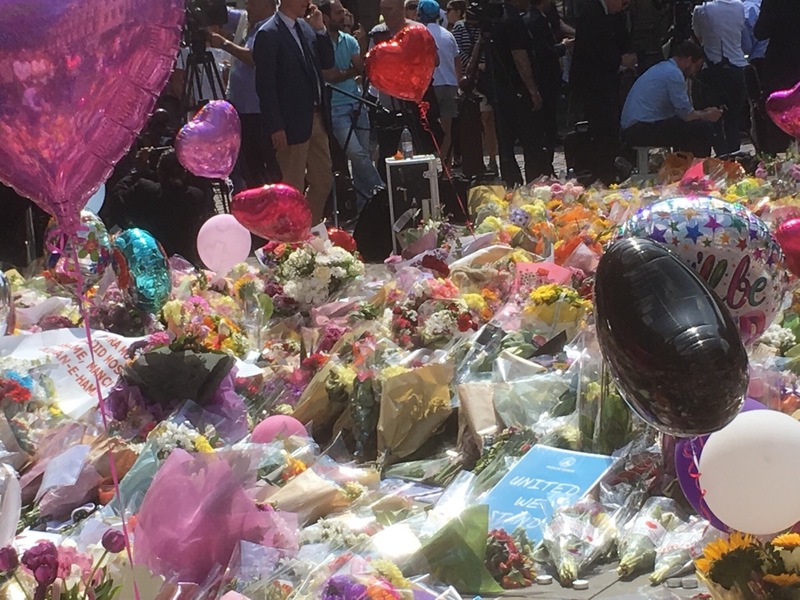 Despite the unprecedented step of the army being deployed to assist the police throughout the country and the government warning that another attack was imminent, avoiding this crowd was never an option. 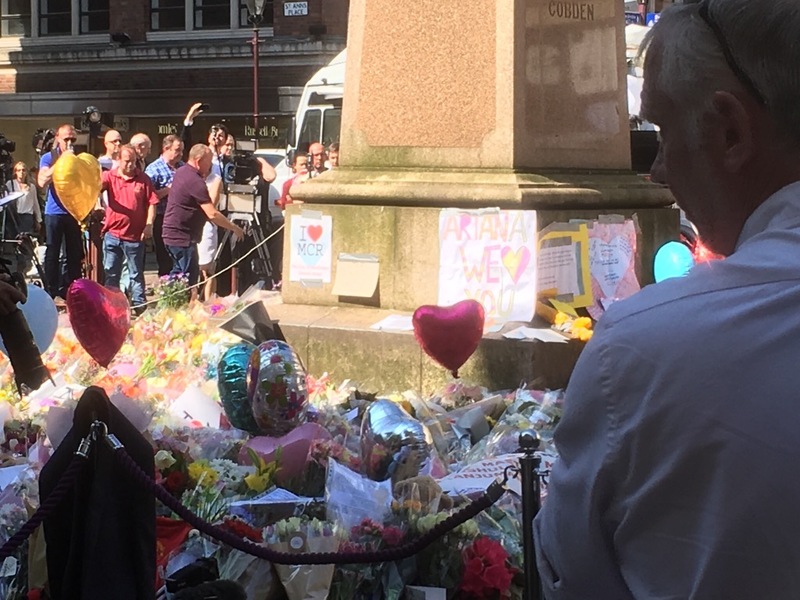 My fellow Mancunians came good again: what a fitting and emotional morning it was. 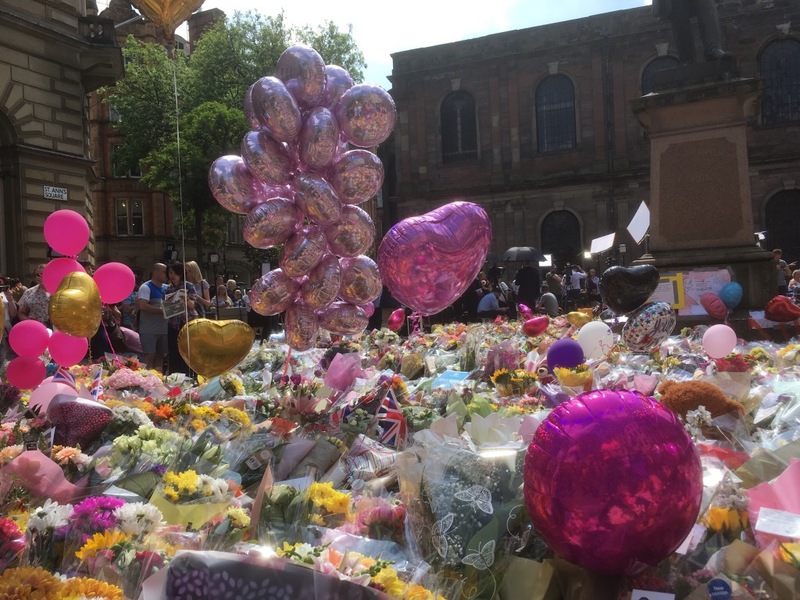 There were tears amongst the defiance, balloons filling the clear blue skies. 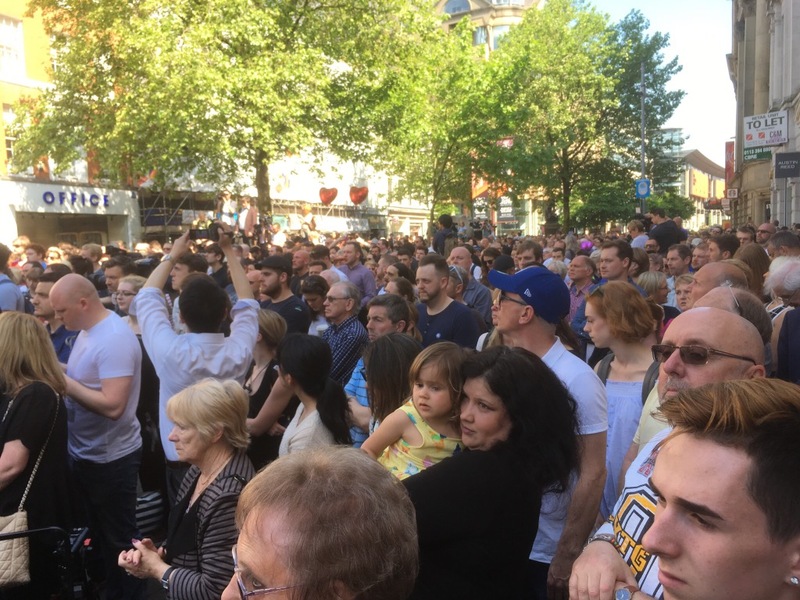 And the fantastic moment when the crowd burst into a spontaneous rendition of Don’t Look Back In Anger by Manchester band Oasis, followed by thunderous self-congratulatory applause. How ironic that an action designed to cause division has created a unity I have never witnessed before. 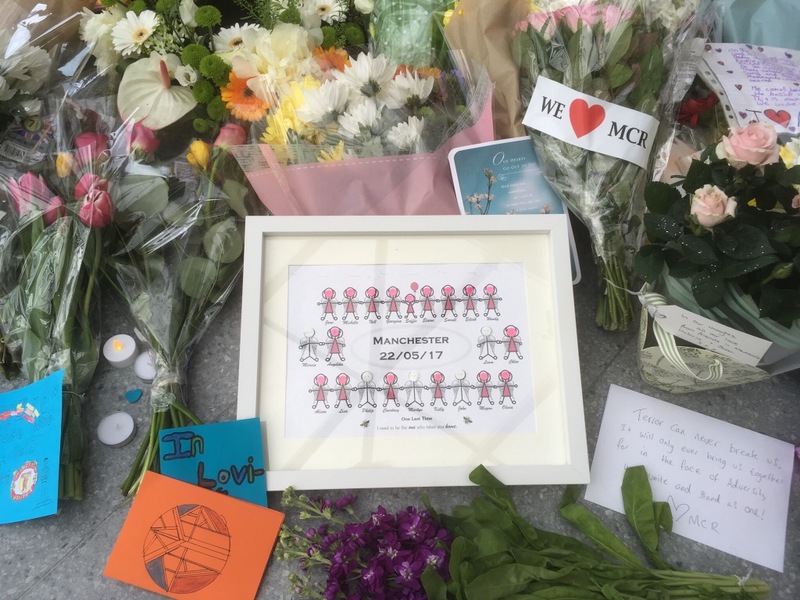 Here you can see a tribute from the Mayor of Salford, the city divided from Manchester by a river. In the background you can see St.Ann’s church. 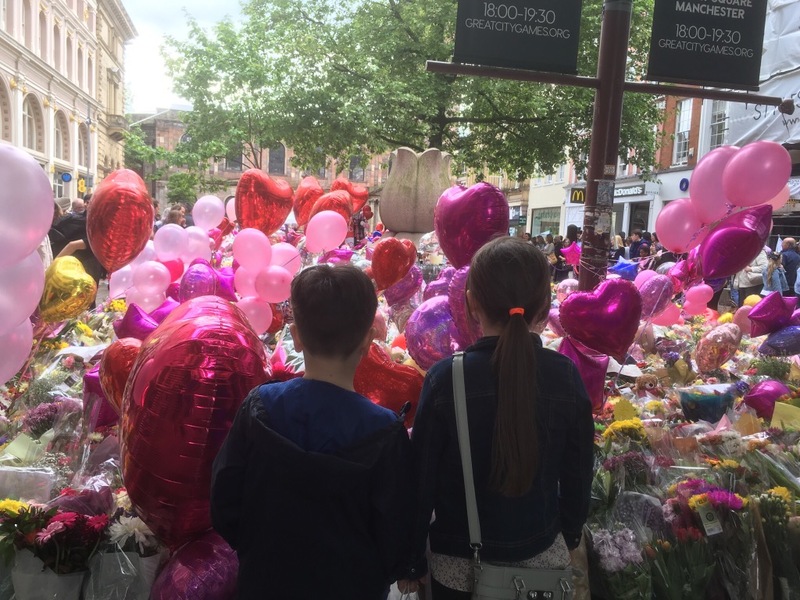 Everywhere there was balloons, for the children who were killed or badly injured. 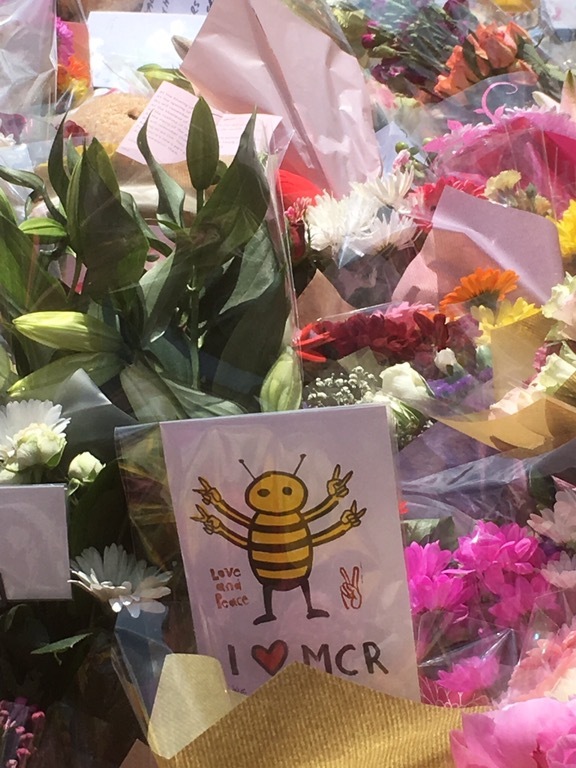 Here is an artistic likeness of the Manchester Bee. A symbol of Manchester, the worker bee represents the city’s industrial past. 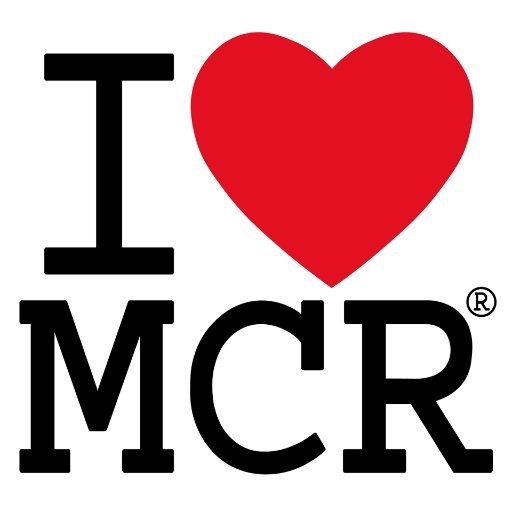 Thousands of people are now having this tattooed onto their skin, proceeds going to the fund set up for the victims. 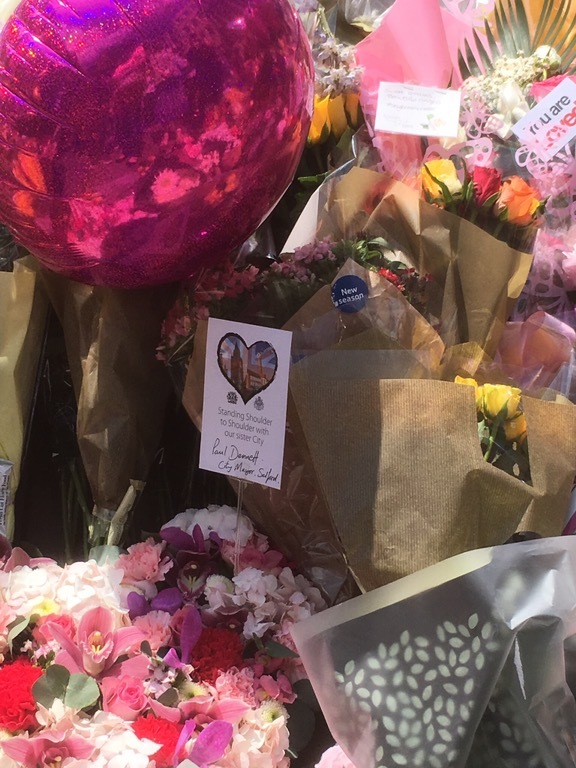 There are now even more flowers here, people were still queuing to lay bouquets long after I left. 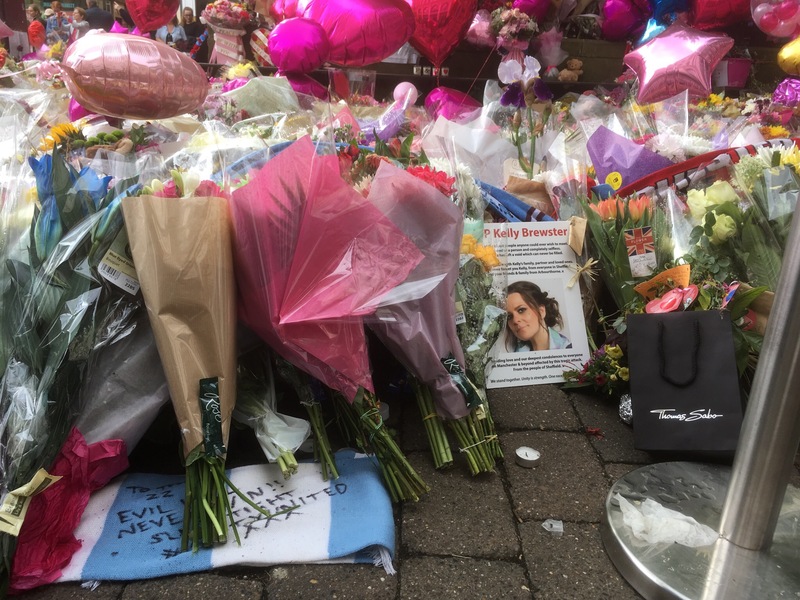 The poster ‘Arianna we love you’ is to the distraught singer whose concert was targeted by the terrorist. The square beginning to fill behind me. 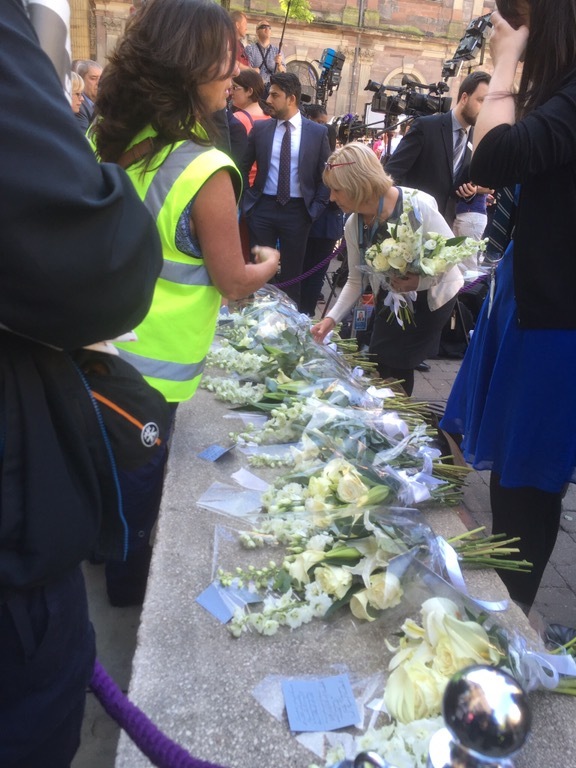 Flowers being prepared to be laid-a bunch for each of the twenty two dead. 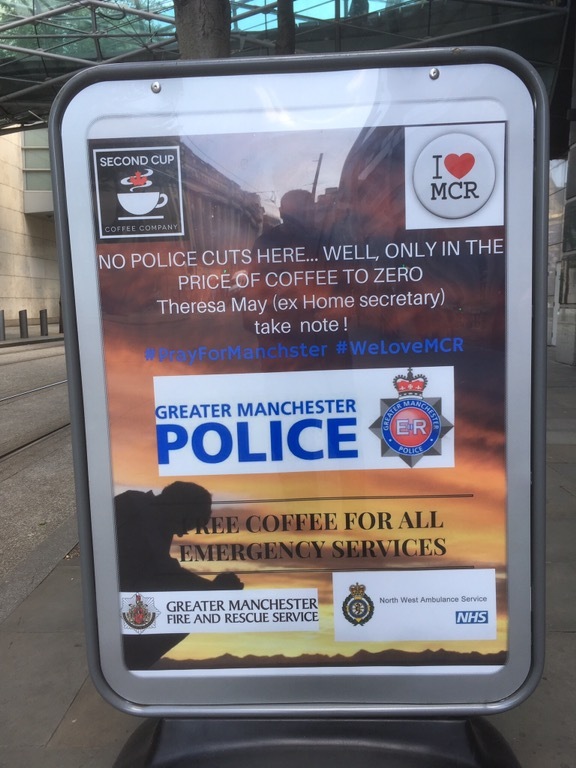 Afterwards I saw this-free coffee for members of the emergency services. I’m not sure if the heavy presence of armed officers reassured or made me more nervous. Spotted these passing from a pizza place. 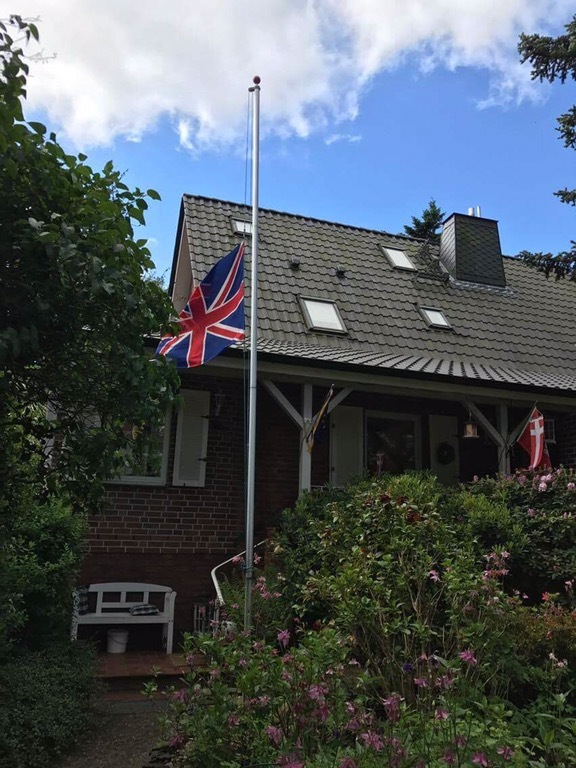 Adding to the emotion of the day: while gathered in the square, I received a message from a former student of ours, telling us that his family were standing with us in support, and here in Germany his family were flying at half mast a British flag in solidarity for his former adopted city. -The tales related personally to us by people who were there, as well as someone who treated the injured in hospital. 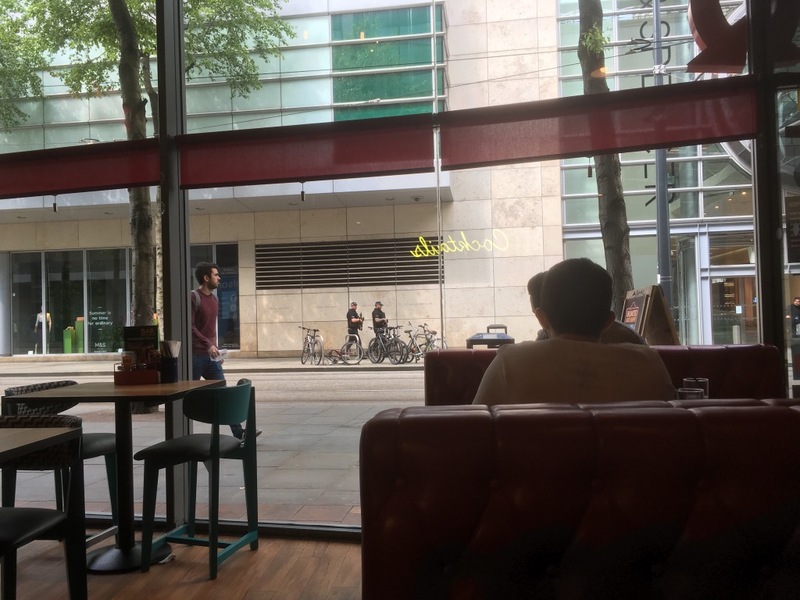 -The people still on edge in Manchester:the shopping centre evacuated; people fleeing along the high street in panic; rumours spreading, men arrested. -The distraught woman begging on television for news of her (still) missing daughter. -The story of the homeless man, normally passed by and ignored on the street, who ran to help the injured, cradling a dying woman in his arms, comforting a young girl who had lost her legs, pulling nails from the faces of children. -The victims beginning to be named, the ages, the photographs. 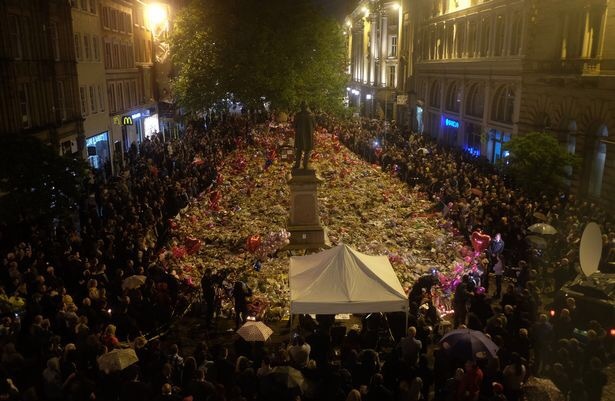 People gathering together in their thousands in the city centre in a show of defiance and unity. And on the estate where I live, we joined together in a local chapel, finding solace and comfort in community. Around the time I went to bed the bomb went off. I was totally unaware of what had happened until around 3.00am, when my wife woke me. Friends from around the country, indeed the world, had messaged us. Then, bleary eyed, we tried to process just what had happened. 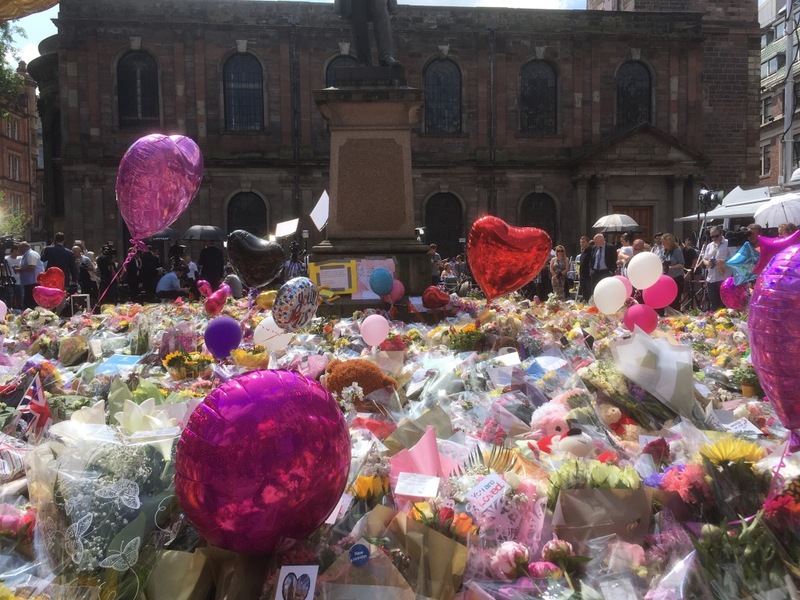 There was footage of the panic; people searching for lost children; a distressed woman rang our local radio station with a horrific account of what she had witnessed; friends of ours announced that they were safe. The friend of my little girl was at the concert with her family. There were other people attending that we know. My daughter herself was at a concert in that same venue just a couple of weeks ago. The arena can be accessed through the train station which I have been commuting from. Not so long ago I attended the Young Voices competition as a staff member with my children’s school choir. 8,000 children were present that day. 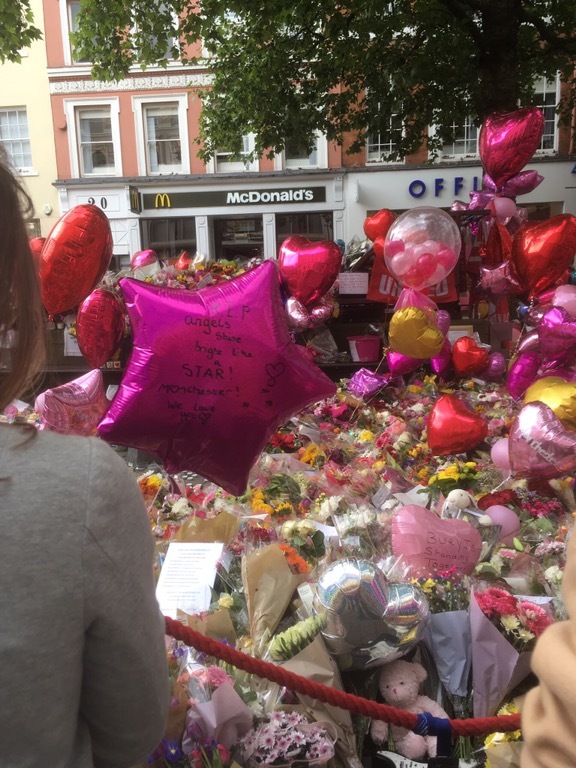 Suddenly the horror that regularly unfolds throughout the world was on our doorstep. 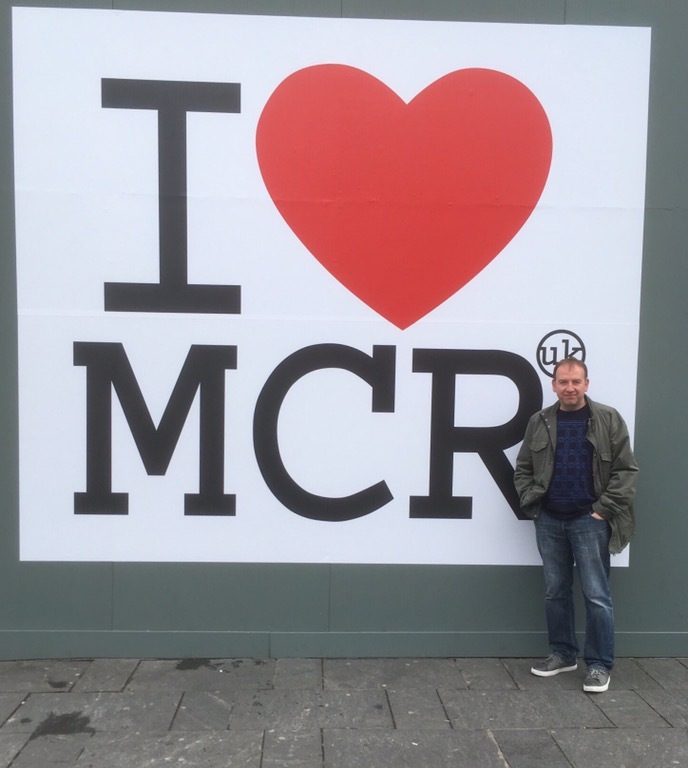 After the recent attack at Westminster I said to my wife that it was only a matter of time before our city was hit. Whenever you are in a crowded place of course it crosses your mind. Football matches, shopping centres, and like last night-music concerts. But we have to continue. This threat isn’t going away any time soon. We have to all stand firm against it. Of course by ‘we’ I mean all of us, everywhere. 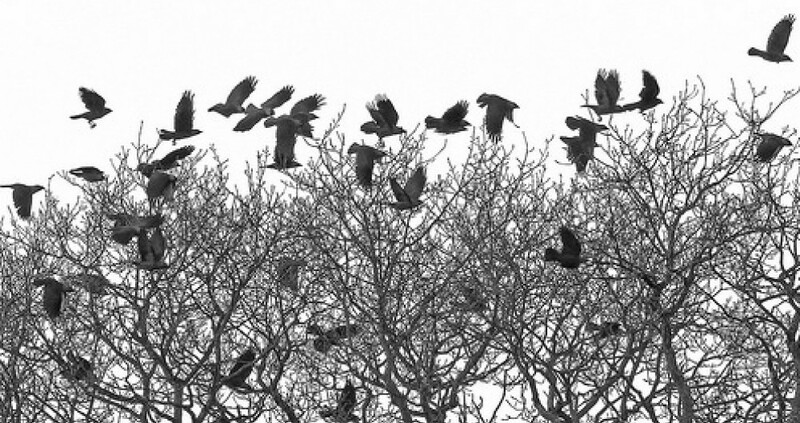 But being rooted in a place gives you a sense of belonging. This is my city. These are my people. 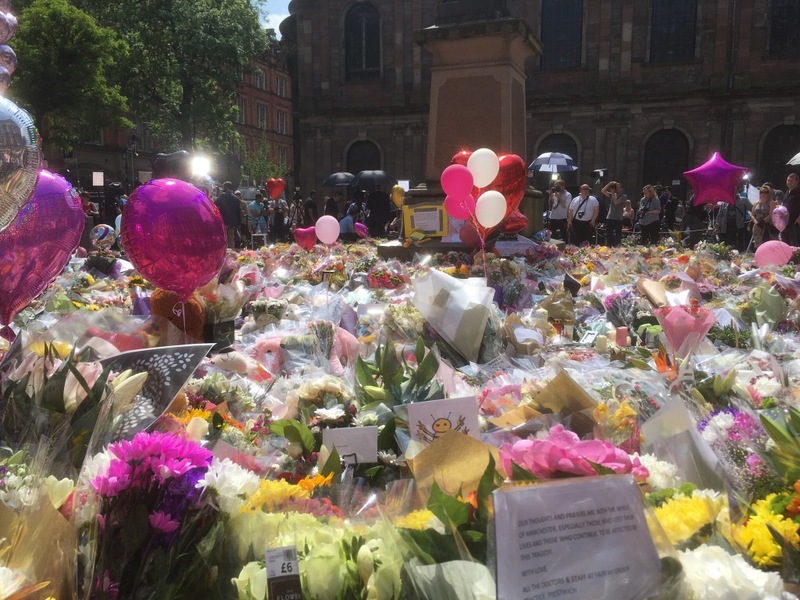 I am proud of my fellow Mancunians who went to the aid of the injured and dying, the taxi and bus drivers who were ferrying people from the centre for free, the hotels who were taking in children who had been separated from their parents, people offering beds for the night, and more and more and more. 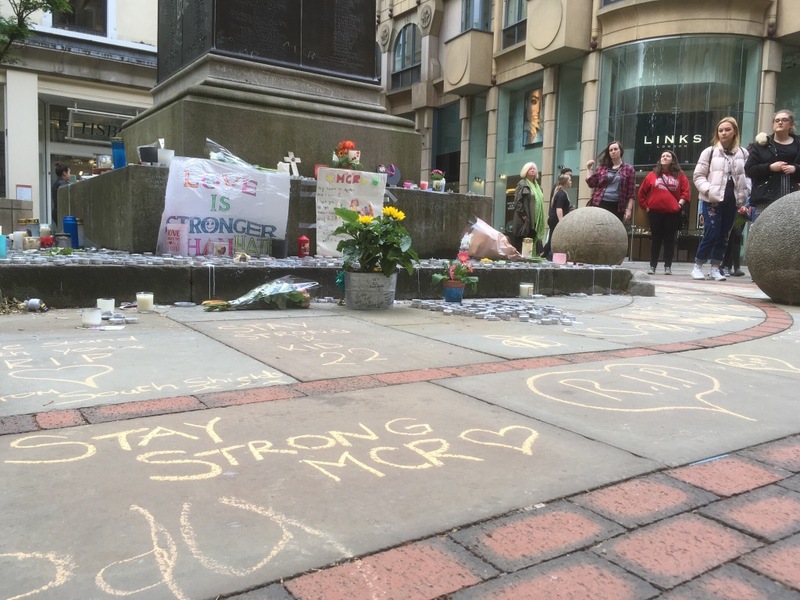 Manchester is no stranger to such atrocities. There was the IRA bomb of 1996 which utterly devastated the town centre. 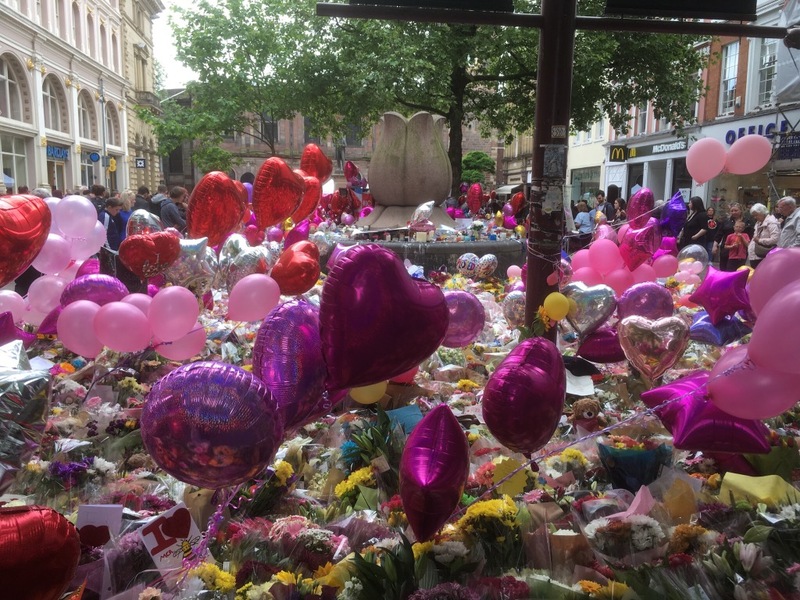 The Manchester we know today rose from the ashes of that day. But back then everybody had been evacuated, miraculously nobody was killed. Last night it was people targeted. It was children. When we say we will go on, when we say we will stand firm, it is more than rhetoric. More than posting a hashtag. 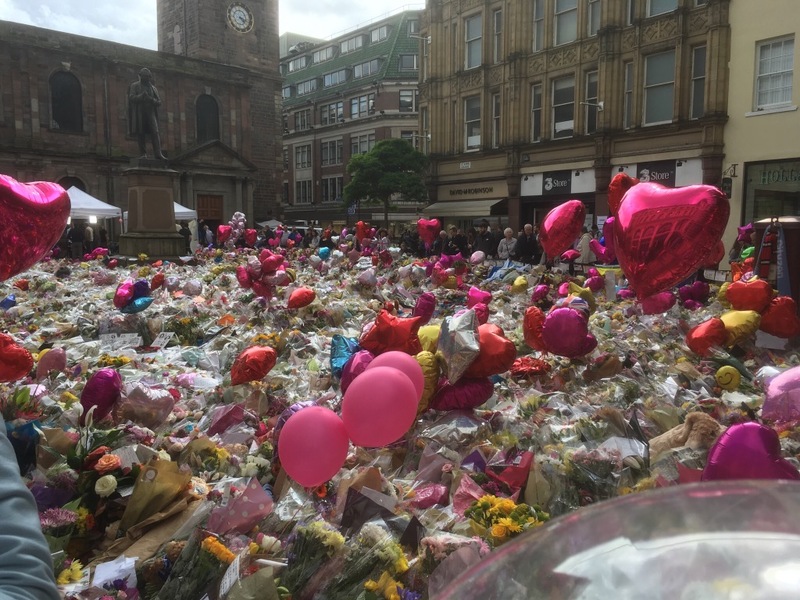 But when the people who commit such acts are targeting events that are packed with thousands of children, just what are we to do? My prayers go out to those who lost their lives last night in my beautiful city.